How do you Cure Jet Lag? Jet lag is a modern ailment, one that our ancestors never knew of or imagined. With our ability to traverse the globe in a matter of hours, has come a truly new problem, where we outpace our brain’s ability to adjust to changing time zones, meaning that usually when we arrive somewhere we are exhausted and disoriented. Not a great way to start a holiday or, especially, a business trip, but is there a way you can cure jet lag? While there is no simple ‘cure’ for jet lag, no magic pill or secret potion, there are a number of different things that you can do to help it. However, first you need to know a little bit about jet lag. To understand jet lag, you need to know about your body clock, circadian rhythms and our reaction to environmental factors such as light. Circadian rhythms are driven by our 24 hour day and they help set our body clock and allow the human body to prepare for the different physical and mental demands of the day and night. These rhythms are set and maintained by external cues, mostly light but also other elements such as heat. Jet lag occurs when we move out of our time zone and our own body clock and the external cues are out of sync. The body struggles to overcome this conflict and the result is the exhaustion and confusion that is known as jet lag. To combat jet lag the key is to try to adjust your body clock before you fly. If you are flying east then you need to try to go to bed earlier, if you are travelling west then you need to go to bed later. The longer you spend doing this the better the outcome will be and the bigger the difference in time zones, the more you will need to adjust your sleep. Don’t try to go to bed hours earlier than normal as this will not work, the key is to make gradual changes. Also, it is important to try and minimise the impact of the flight. Try to sleep when you would normally and if you cannot sleep then at least rest during this period. Take a mask and ear plugs to help you block out the noise and light of the plane. When you arrive at your destination it is best to try and adapt to the local zone straight away. If it is day time then try to stay awake as long as possible and if it is night, try to go to sleep. As light is the most powerful external cue make sure you get as much sunshine during the day time as you can. Try to adjust your body clock before you leave. Take ear plugs and a mask on the plane. Try to adjust to the local time zone straight away. Get as much sunshine as you can. 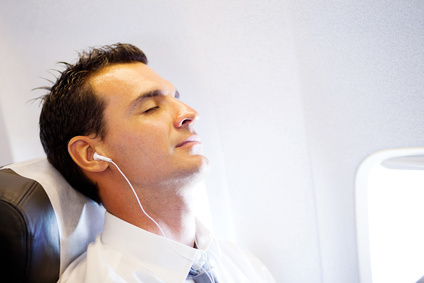 If you follow these tips you will limit your jet lag. Good luck, happy travelling and restful sleeping.